New Delhi: MK Stalin, the main opposition leader in Tamil Nadu, has been arrested this morning as political parties held a strike across the state in support of farmers, whose loans, they say, must be waived by the government. Tamil Nadu is in the midst of its worst drought in 140 years and the government says that between October and January, 19 farmers killed themselves. About 14 lakh shops are closed today across the state. Mr Stalin was arrested in Thiruvarur, around 300 kilometers from Chennai, along with top leaders of his party, the DMK. In the same area, farmers protested by lying across train tracks. 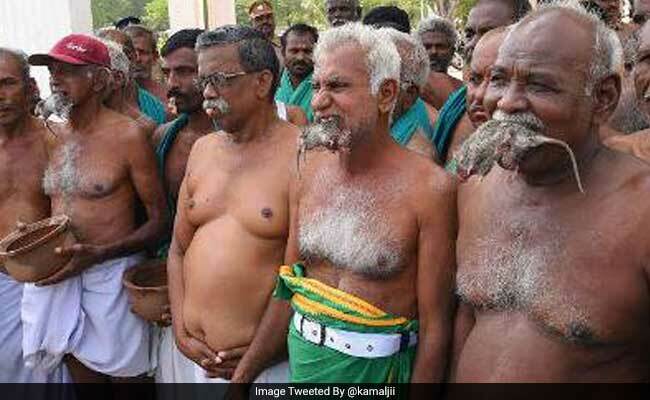 Today's strike was called after nearly 200 farmers from Tamil Nadu who spent a month protesting in the heart of Delhi returned without winning the concessions they sought from the centre - large financial packages and a write-off of their loans. To make their point in Delhi, they adapted unusual tactics - some farmers were photographed holding dead rats in their mouths to signal their distress; they also held mock funerals and displayed the skulls of those who they claimed had committed suicide. Schools are closed for summer vacations, colleges remained open, but most shops and hotels complied with today's call for a shutdown. The vast and influential film industry called for morning screenings to be cancelled in cinemas and film shooting is likely to be suspended. Farmers protested by lying across train tracks in Thiruvarur. Petrol pumps were open with operators wearing black badges showing their support to the cause.